Madagascar is the world’s fourth largest island with a total land area of 581,800 km². The country’s unique wildlife and biodiversity resources have attracted tourists and significant donor investments over the last three decades. In 2003, the Government of Madagascar committed to tripling protected areas and, by 2016, the country’s total coverage of protected areas had increased from 1.6 million to 7.1 million hectares. Madagascar adopted a new approach to protected area management in 2006. In addition to protecting ecosystems and biodiversity, the new approach enables community-based management of natural resources and, in some cases, sustainable resource extraction. Despite the focus on conservation, pressure on Madagascar’s natural resources is high due to climate change and overuse; its unique biodiversity is under threat. Agriculture dominates the overall use of Madagascar’s land and water resources and provides livelihoods for more than 70% of Madagascar’s population of 26 million. Yet, agricultural productivity is low, access to quality land is an issue, and rural poverty rates are high. The growth of agricultural productivity is at risk due to climate change, for which Madagascar is one of the world’s most vulnerable countries. Drought in the country’s south has pushed some people to transition from a dependence on agriculture to fishing for their livelihoods, increasing pressure on coastal resources. In 2005, Madagascar embarked on a land reform to decentralize land administration to the commune-level, introduce land certificates, and reverse the presumption of state ownership of land. Despite initial progress, the reform effort stalled in 2009 following a coup d’etat. As a result of the coup and subsequent political crisis, international donors suspended aid to the country and did not reengage until 2014 following the inauguration of a democratically-elected president. The new administration reinitiated the land reform process, which has led to the establishment of 510 Local Land Offices (LLOs) and the issuance of more than 250,000 land certificates across the country. The political crisis, rising food prices, and multiple climate shocks, including cyclones, prolonged droughts, and a locust invasion in 2013 have slowed economic growth in Madagascar and contributed to increased poverty. These crises have negatively affected the country’s economic development. Despite Madagascar’s abundance of natural wealth, the country is among the poorest in the world and around 92% of all Malagasy households live in poverty. Support the adoption of pro-poor, gender-responsive land laws and policies. The law and policy environment in Madagascar is evolving as the country moves forward with the land reform process. Donors could apply comparative expertise to advise on land laws and policies that will better enable land reform for all land users in Madagascar. Support capacity strengthening for Local Land Offices. Since 2005, Madagascar has implemented the National Land Program with the goal of decentralizing land administration and increasing land titling and certification. Implementation of the program slowed as a result of the 2009-2014 political crisis, but momentum has since increased with renewed donor support. Several international donors, including the World Bank, support the National Land Program, but there is need for additional support to scale the land reform nationally and increase the capacity of existing structures. Donors could collaborate with the Government of Madagascar and international donors to support expansion of the National Land Program to additional communes, as there are more than 1000 communes that still need Local Land Offices (LLOs), and strengthen the implementing capacity of existing LLOs. Put legislative protections for women’s land rights into practice. The legal framework in Madagascar recognizes gender equity of land rights and provides protections for women in the event of divorce and inheritance, but in practice these laws are rarely enforced. The National Land Program (2016-2020) includes a focus on increasing land certification for women through the education of local authorities and widespread communications on the importance and benefits of land registration. However, the poorest households and women-headed households are the least informed about the National Land Program and may not understand the value of land certificates, or know that women can register in their own name or jointly. Donors could support gender integration into the National Land Program by strengthening the capacity of local authorities and LLOs to support land titling and certification for women, and could support widespread communications to raise awareness on the importance of women’s land certification and joint titling. Strengthen implementing capacity in the forestry sector. Deforestation in Madagascar increased following the 2009 coup, threatening the country’s unique biodiversity. The Ministry of Environment, Ecology, and Forests (MEAF) does not have sufficient capacity to monitor forests and protected areas and prevent deforestation. At the national level, donors could work with MEAF and strengthen their capacity to implement forestry legislation and monitor protected areas. At the local level, donors could work with Community Forest Management (CFM) units to build their capacity to manage and protect forests. Madagascar has a diversity of terrain, dominated by a central mountainous plateau surrounded by lowlands. 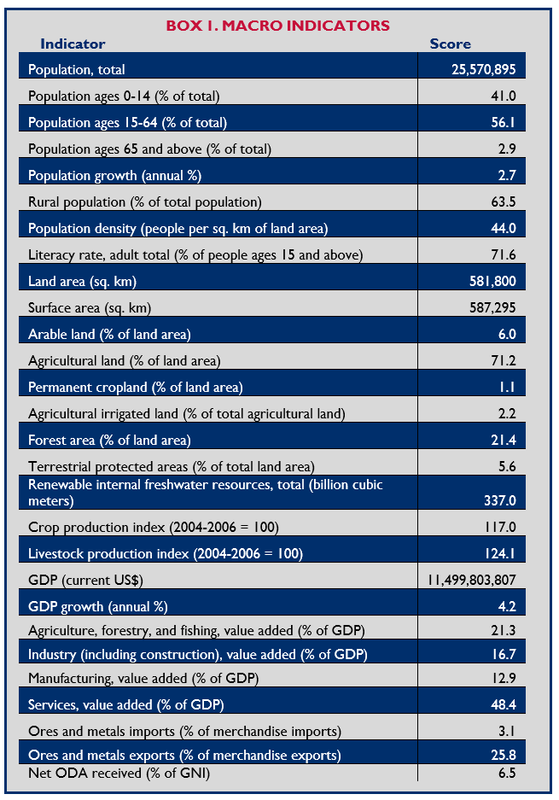 The country has substantial freshwater resources and 22% of the land is forested. Over 60% of the population is rural and primarily engaged in agriculture. River valleys and marshes support irrigated rice cultivation. Most farmers are owner-operators with about one hectare of land devoted to crops. Tenancy is common in most areas, and almost half are sharecropping arrangements. A majority of urban residents live in informal settlements with limited services. In 2005, Madagascar launched its National Land Program to decentralize land administration to the commune level and formalize rights to land. Though stalled during the 2009-2014 political crisis, the program has seen renewed donor support. In 2015, Madagascar adopted a 15-year Letter for Land Policy and, in 2016, an updated National Land Program (2016-2020). The current National Land Program builds on the policy changes introduced in the original program and aims to increase land certification by reducing the legal, administrative and organizational challenges that hindered implementation of the 2005 Land Law. Madagascar is endowed with significant marine and coastal resources, which provide an important habitat and contribute to the livelihood and nutrition of a large portion of the rural population. Though the fishing and aquaculture sectors are underdeveloped and primarily focus on local consumption, they are experiencing strong growth and are a large source of export earnings. Madagascar has sought to protect coastal resources through the establishment of 54 Marine Protected Areas, approximately 4% of the country’s marine habitat. Since 2006, the contribution of the fisheries sector to Madagascar’s Gross Domestic Product (GDP) has decreased from 7% to 2% due to overfishing, the destruction of mangroves, pollution, and climate change. Madagascar’s forests contain flora and fauna that are found nowhere else on earth. Malagasy forests are threatened by the high demand for agricultural and grazing land, illegal logging, charcoal production, mining, and climate change. Since pledging to triple the country’s protected areas in 2003, the Government of Madagascar has increased protected area coverage from 1.6 million to 7.1 million hectares. Madagascar has also shifted its approach to protected area management to include cultural preservation and livelihood support, as well as conservation. Under this new approach, sustainable resource exploitation is allowed in some protected areas. However, the increase in protected areas has not had a positive impact on deforestation rates. Though currently a minor contributor to GDP, Madagascar’s mineral sector has received increasing amounts of investment and is expected to grow. Significant onshore and offshore oil reserves are being explored in the western region with production scheduled to begin in 2018. The country has been a member of the Extractive Industries Transparency Initiative (EITI) since 2014. Donors and international and local NGOs support a range of environmental and biodiversity projects throughout Madagascar. The National Land Program is supported by several international donors working in partnership with the Government of Madagascar. Donors and NGOs also support the management and regulation of coastal and forestry resources (increasingly, community-based resource management), as well as the expansion of protected areas. Madagascar is the world’s fourth largest island with a total land area of 581, 800 km². The island is characterized by a high (1,000-2,000 meters) central mountainous plateau, sloping to narrow coastal lowlands bordering the Indian Ocean to the east and Mozambique Channel to the west. About 71% of the island is agricultural land and 21% is forest. Most of the country’s cultivated land is found inland, although forests and hillsides throughout the country are often cleared for farming. As of 2017, terrestrial and marine protected areas made up 2.3% of total territory (World Bank 2018a; CI 2005; FAO 2016). Sixty-three percent of Madagascar’s population of 25.6 million people (2017) lives in rural areas. Seven-seven percent of men and 72% of women work in the agricultural sector, which is primarily subsistence farming producing food crops such as rice, cassava, and maize, and has a significant livestock subsector. Common cash crops include coffee, cloves, vanilla, lychee, and cocoa. In 2017, the country’s GDP was almost $11.5 billion, portioned as follows: 24% agriculture; 19.5% industry; and 56.4% services (World Bank 2018a; World Bank 20017; FAO 2016). Almost half of cultivated land in Madagascar is devoted to rice, which is the staple food. In the lowlands and alluvial marshes and plains, rice fields are irrigated. Shifting cultivation of rice is common on hillcrests and upper slopes. Families often hold an upland or hillside parcel that they plant rotationally, periodically leaving that land fallow or using it to grow cassava. Most parcels are eventually abandoned due to decreased soil fertility (FAO 2016; Freudenberger and Freudenberger 2002; Kistler and Spack 2003; Freudenberger 1995). Sixty-eight percent of Madagascar’s land is savanna, with the largest expanses located in the western and southern parts of the island. Pastoralism is a significant use of land and economic activity in Madagascar. Cattle-grazing occupies 55% of the country’s land area, and cattle supply the primary household income for 60% of households. In some areas, possession of cattle is a more significant determinant of wealth than land ownership. Historically, conservation circles have viewed pastoralists as a major cause of forest destruction and loss of biodiversity. More recent research suggests that while pastoralists may be responsible for loss of some forestland, they also protect forests resources to help support their livestock. In some areas pastoralists maintain pastures within forests, propagate trees, and protect areas against clear cutting by agriculturalists (Kaufmann and Tsirabamba 2006; Freudenberger 1998; Rasambainarivo and Ranaivoarivelo 2006). Ownership of agricultural land is an important determinant of welfare in Madagascar. Approximately 77% of the rural population is below the national poverty line and those without land are the poorest. The average landholding is less than 1 hectare, with 48% owning two to three plots of land and 38% owning more than four; women cultivate about half the area of land that men cultivate. Approximately 4% of Malagasy are landless. Land quality factors into unequal land distribution. Forty percent of the land held by the wealthiest households is irrigated, compared to 27% of the land held by poorer households. Inequality in landholdings appears to be increasing as wealthier households enlarge the size of their landholdings through land purchases, while landholdings among poorer households are diminishing, in part due to fragmentation of landholdings through inheritance. Poorer households are generally unable to invest in larger landholdings because they cannot afford inputs and are often forced to sell their land due to economic stress (FAO 2018B; World Bank 2018a; Burnod et al. 2017; Radison et al. 2009; Randrianarisoa and Minten 2001). Population growth has increased pressure on land and constrained land access for women and youth. Additionally, decreasing soil fertility has resulted in increasing numbers of families moving into forest areas, causing land degradation from the construction of settlements and clearing and cultivation of forestland. Farmers burn vegetation on hillsides and grow rice and vegetables. As the population grows and land becomes scarcer, fallow periods between cultivation decrease, depleting nutrients in the soil, causing erosion, and reducing biodiversity (FAO 2018b; Freudenberger and Freudenberger 2002; World Bank 2007a; World Bank 2008; Styger et al. 2009). In rural areas, there are very large pieces of prime agricultural land that were titled to foreigners under the colonial government to promote agribusiness. These landowners left the country following independence or have since died, leaving no heirs in Madagascar. Though former agribusiness workers have been living on and using the land for decades, there is no legal process to recertify the land in the name of the current occupants and users. The most recent National Land Program (2016-2020) aims to address this issue by proposing recognition of land ownership to the current user in the absence of title (Teyssier 2018; ROM 2016a). In some areas of Madagascar, marginalized socioeconomic groups are prevented from owning land. Those that are descended from slaves, for example, are excluded from land ownership and access land through leases or sharecropping. Similarly, migrants are barred from land ownership in some communities (FAO 2018B). An estimated 77% of Madagascar’s urban residents live in informal settlements with limited or no services. Rapid urban population growth, particularly in Madagascar’s capital city of Antanarivo, has led to a concentration of poverty in the city. The poorest urban households live in temporary housing, half of which is in flood-prone areas. Forty-one percent of the population has access to clean drinking water, among the lowest rates in sub-Saharan Africa. While only 11% of urban residents have access to improved sanitation, 68% were connected to electricity. Most urban land is held under customary tenure and residents do not have title recognized under formal law (World Bank 2018a; Rouhana et al. 2018; UN-Habitat 2012). Madagascar has a pluralistic legal framework governing land. The country has a formal land tenure system that recognizes individual freehold tenure under formal law and community-based customary land tenure systems. The systems are governed by national-level, formal law and community-based rules that regulate land access, acquisition, and use (FAO 2018B; Teyssier 2018; Evers et al. 2006). Under formal law, landowners can acquire either land titles or land certificates. Though land titles and land certificates are acquired through different processes, both convey private ownership and provide security of tenure. In 2005, the Government of Madagascar launched its National Land Program. A 2005 Letter for Land Policy focused on four tasks: (1) restructuring and modernizing the land administration system; (2) improving decentralized land management by creating Local Land Offices authorized to issue and manage land certificates according to locally established procedures at the commune-level; (3) updating land legislation to incorporate the principles of decentralized administration and to formalize local land holdings; and (4) establishing a national land tenure training program to build local capacity. A Land Observatory was charged with monitoring the progress of the National Land Program (Teyssier 2018; Teyssier et al. 2008). 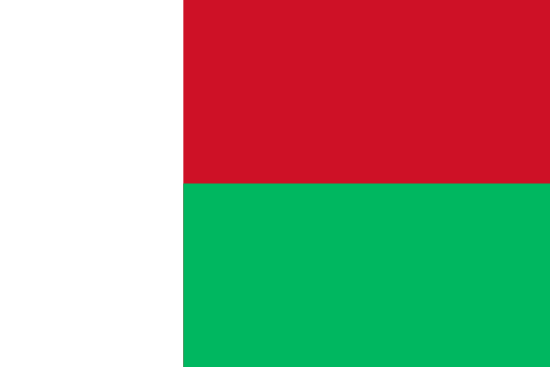 Following the Letter for Land Policy, Madagascar passed a new land law in 2005, Law No. 1005-019. The 2005 Land Law classified land as state or private, delineated land tenure types, and provided procedures for land registration. The law specifically recognized the rights of individuals and groups to unregistered land, which had previously been considered state land. The following year, the government passed Law No. 2006-031 (Loi No. 2006-031 de 24 Novembre 2006 fixant regime juridique de la proporiete fonciere privee non titree), which allowed individuals and groups asserting rights to untitled land to obtain certificates recognizing their rights from Local Land Offices. In 2015, a new 15-year Letter for Land Policy was adopted, but this has not led to new legislation (ROM 2005; ROM 2006; Teyssier et al. 2008; Teyssier 2018). Under customary law, land in Madagascar is perceived as the land of the ancestors, granted to a community as their sacred heritage. In some communities, individual tenure is considered foreign or even taboo. When customary land is individualized, many believe that land must be titled or recorded in some fashion before an individual can claim perpetual ownership rights to the plot (FAO 2018b; Bellemare 2009). Madagascar’s formal law recognizes state and private land. State land is either in the public domain or private state land. Land in the public domain is classified as natural (e.g., rivers, parks), artificial (e.g., man-made lake), or legal, which is land that could be in the private domain, but by law has been classified as within the public domain (e.g., public utility). Land in the private domain of the state includes land titled in the government’s name, land that the government has expropriated in the public interest, and land that has never been subject to first occupancy rights or first ownership rights. Private land is owned by individual, entities, or groups (ROM2005). Ownership. Land can be owned by the state, individuals or groups. Individuals can register a land title through the centralized land administration system or a land certificate through a Local Land Office. Only around 7% of Madagascar’s land is titled. Though land titles and land certificates both convey private ownership and provide security of tenure, land certificates cannot currently be used as collateral. Landowners have the right of exclusive possession and use of their land, which is freely transferrable. Registration of group ownership of land requires the formation of a user association (Teyssier 2018; FAO 2018b; ROM 2005). Leasehold. Landowners are free to transfer their rights by lease. Leaseholds are subject to the terms of the parties’ agreement. Leasing is relatively common, with between 10-30% of land leased in cropping areas. About 36% of tenancies are fixed rate lease contracts. Agreements tend to be entered into for a single season and many landowners make a practice of contracting with new tenants every two to three years in order to reduce the possibility of the tenants obtaining land rights (World Bank 2003; Bellemare 2009). Sharecropping. Ordinance 74-021 prohibits sharecropping; however, the practice is widespread in Madagascar and an estimated 40-47% of all tenancies are sharecropping relationships. One study found that most sharecropping arrangements split the production with no sharing of inputs (FAO 2018b; Bellemare 2009). Concession. Concessions can be granted on state land, up to a period of 30 years. Concessions are subject to their terms regarding land use and can be revoked for noncompliance (ROM 2005). The 2005 Land Law does not govern forestland, protected areas and land with natural resources subject to special legislation, and land set aside for investment (ROM 2005; Teyssier et al. 2008). The majority of landholders in Madagascar assert rights to the land under customary law. Population pressure has led to the individualization of customary land previously managed as commons. Most land used for crops is individualized while pastureland is held communally (Teyssier et al. 2008; Jacoby and Minten 2006; Evers et al. 2006; Rasambainarivo and Ranaivoarivelo 2006). To increase land tenure security broadly, Madagascar initiated the National Land Program in 2005 which aims to simplify the land formalization process. The National Land Program decentralized land management to the commune level through the creation of Local Land Offices (LLOs), through which formal land certification was enabled. Under the National Land Program, a Local Recognition Committee, comprised of elected commune and community representatives, visits land sites to determine land rights, boundaries and any disputes which are memorialized in a report. Based on this report, land certificates are signed by the mayor and recorded in a “Local Plan for Land Occupation” (PLOF). In contrast to the Torrens system, which takes up to six years and costs around $500, the land certification process takes 6-18 months and costs $15 or $30 for rural or urban land, respectively. By 2018, at least 510 LLOs had been established and 250,000 land certificates had been issued across the country (Teyssier 2018; Burnod et al. 2017; World Bank 2014; Teyssier 2008). The inefficacy of the earlier land registration system led to the development of an informal, local means of securing land rights, known as petits papiers (small papers), which continues despite land certification efforts. Although unregulated, petits papiers are uniform throughout the country. The petits papiers identify the name of the landholder, the names of his or her neighbors, the estimated surface area of the land, how the land is used, and the origin of the right to the land. Usually written on a computer, the petits papiers are registered by the commune-level government and provide local legitimacy of land rights. Though they are not legally recognized, most agricultural and urban plots in Madagascar have been documented using petits papiers (Teyssier 2018; Teyssier 2008). Roughly 86% of cultivated land is privately owned, though largely without formal title. Approximately 78% of farmers obtain their land through inheritance. Local land sales and rental markets are increasingly active; in highly commercialized areas purchased plots can make up 40% of holdings. Some holders acquire land rights through use; individuals can apply for title based on mise en valeur (improvement) if they occupy and improve the land for a 10-year period. Pastureland tends to be held communally, with communities holding rights to areas they have used for generations. The formal law does not permit grazing land to be registered (FAO 2018b; World Bank 2003; Jacoby and Minten 2006; Rasambainarivo and Ranaivoarivelo 2006). Foreigners can purchase and lease land in Madagascar. The 2007 Investment Law provides that foreign investors can purchase land through the regular procedures for acquiring a title after registering their company or its subsidiary in Madagascar. Alternatively, investors can lease property for up to 99 years, provided that the property is solely and continuously used for commercial purposes. There has been extensive foreign investment in agricultural land in Madagascar: At least 588,000 hectares of agricultural land has been leased out to investors. Notably, in 2008, Madagascar’s then-President entered into an agreement with the South Korean company Daewoo for a 99-year lease of between 1.3 and 1.9 million hectares of land. The lease, which was subsequently terminated, was one of the issues leading to the 2009 coup (Land Matrix 2018; USDOS 2015; Andriamanalina and Burnod 2014; Manunike 2009). Traditionally, rights to land under customary tenure were secured through clearing the land. Customary tenure security in Madagascar has become stronger following reversal of the presumption of state ownership of land. Throughout the country, most land rights are held under customary tenure, which tends to be clearly defined and understood, and has social legitimacy (FAO 2018b; Teyssier et al. 2008). Under formal law, both women and men have equal rights to land and natural resources. Land is typically titled in the name of the male head of household: Only 15% of formally registered land is in the name of a woman, compared to 52% in the name of a man (FAO 2018b). Madagascar’s legal framework does not discriminate against women’s right to own property; women’s legal rights are explicitly defined and equal to men’s legal rights. Property ownership rights within families are governed by the 2007 Law on Marriage and Matrimonial Regimes, which guarantees equal rights to both spouses, provides that spouses should jointly administer their communal property, and states that if a legally married couple divorces, the property acquired during the marriage must be divided equally. Under customary law, the division is typically one-third of the property to the wife and two-thirds to the husband. Under the country’s formal inheritance law, the wife is a distant eighth in the line of succession for the husband’s separate property or property obtained prior to marriage; daughters and sons have the right to inherit equally (FAO 2018b; Ramaroson et al. 2010). The National Land Program (2016-2020) contains a stronger emphasis on women’s land rights that previous policies. The National Land Program includes a focus on increasing land certification for women through the education of local authorities and widespread communications on the importance and benefits of land registration. Following a change to the land certificate format, women can register land individually or jointly. Additionally, decentralization of land administration to the commune-level improves women’s access to land services. However, the poorest households and women-headed households are the least informed about the National Land Program and may not understand the value of land certificates or know that women can register in their own name or jointly. In most cases, the land certificate is issued in the husband’s name (ROM 2016a; Ramaroson et al. 2010). Though the legal framework recognizes women’s rights to land as equal to men’s, in practice women’s rights tend to be secondary. In much of the country, land traditionally passes from fathers to sons, though matrilineal inheritance exists within some groups. Men are seen as family heads and granted land accordingly. Women typically do not inherit land or inherit very small plots upon marriage. Upon divorce, women do not have access to their husband’s land, even if they were formally married; however, they may be able to access land within their natal community (Ramaroson et al. 2010; Evers et al. 2006). At the national level, the Ministry of Agriculture, Livestock, and Fisheries (MAEP) and its Department of Property and Land Services, Department of Land Records Retention, and Department of Domains and Land Property oversee the National Land Program and decentralization. The Coordination Unit of the National Land Program is responsible for managing implementation of the land reform, including the development of regulatory frameworks. The Coordination Unit is expected to close upon completion of the land reform (FAO 2018b; Teyssier et al. 2008). The Land Observatory was established in 2007 to monitor the progress of the National Land Program, gather information to help inform future policy decisions related to the Program, and measure the Program’s impacts on different beneficiaries. The most recent National Land Program (2016-2020) also includes the implementation of monitoring and control systems at the commune level, as well as the creation of a unit specialized in fighting the corruption at the national level (ROM 2018; FAO 2018b; Teyssier et al. 2008). Under the National Land Program, many land administrative functions were decentralized to the commune level. Communes can establish permanent Local Land Offices (LLOs), which manage the local land recognition and registration process including issuing land certificates, recording transactions, and maintaining the Local Plan for Land Occupation (PLOF). Land certification is on demand and based on public, contestable procedures (FAO 2018b; Burnod et al. 2017; Teyssier et al. 2008). A total of 510 LLOs have been established since 2006. While most LLOs became operational with the assistance of international aid, many began operating autonomously during the political crisis of 2009-2014. The number of LLOs has steadily increased; however, these offices are challenged by weak technical and training support and poor funding, which affect the success of the land reform (Burnod et al. 2017). Land sale and land rental markets are increasingly active in Madagascar. The latest data (from the 1990s) indicates that 13% of households bought or sold land in the five years preceding the study, and 8-11% of cultivated land is rented out. In commercially-oriented agricultural areas, the markets tend to be formalized and a higher percentage of farmers (up to 40% in some areas) purchase their plots. In contrast, land markets in less developed rural, urban, and peri-urban areas are largely informal (Radison et al. 2008; Randrianarisoa and Minten 2001; Jacoby and Minten 2006). In areas dominated by local land tenure practices, local rules govern who can buy and sell land. In these areas, landholders will typically only sell land if they are under financial stress. When land is sold, local practices favor purchases within families and local communities. In some cases, land may transfer to outsiders without approval from the traditional authorities. However, ownership claims derive their legitimacy through the support of communal institutions. Transactions are usually formalized with a handwritten sales receipt that is signed by the local authority (Jacoby and Minten 2006; Randrianarisoa and Minten 2001). Under Madagascar’s Constitution, land can only be expropriated for public use and is conditional upon prior payment of fair and prior compensation. However, some contend that the government has expropriated land for private interest, particularly for multinational mining companies. Under the 2005 Land Law, expropriated land becomes government land within its private domain, a classification that allows the government all ownership rights to the land, including transfer (ROM 2010; Andriamanalina and Burnod 2014; ROM2005). If an area of rural land over five hectares is unused for five or more years, the land right reverts to the state without compensation (Evers et al. 2006). Land disputes in Madagascar can be divided into two broad categories: (1) conflicts between private persons over land ownership at the local level, often between or within families; and (2) conflicts between the state and private persons over ownership and control of land and local resources. Conflicts between the state and private persons are often the result of differences between formal law and customary practice. In protected areas such as the Makira Forest, conflicts have arisen over the use of forestland for agriculture (Evers et al. 2006; WCS 2008). Communities usually have clearly defined land tenure rules and processes for resolving local conflicts between private persons, and most land disputes are resolved locally and informally. Complex procedures and the requirement to travel to regional courts and seek legal advice can deter private persons from pursuing resolution to disputes with the state. Disputes that make it into the court system take a long time to decide or may never be decided; most judgments are not adequately enforced. The National Land Program (2016-2020) includes ambitious goals related to land conflict resolution at the commune level and within the court system (50% of conflicts resolved in 2020, 75% in 2025, and 90% in 2030) (ROM 2016a; USDOS 2015). Madagascar has been implementing the National Land Program since 2005. The goal of the most recent National Land Program (2016-2020) five-year strategy is to make land a foundation for sustainable development by securing land rights and harmonizing current and future land-related needs beyond what has already been achieved since the 2005 reform. The main objectives are: 1) Increase land titling in areas which are still governed by outdated laws and regulation, or for which the cost and complexity of the process led to incomplete titling in the past; 2) Increase land titling broadly by simplifying the processes and reducing the time and costs required; 3) Improve the designation and classification of different types of land (areas (communal areas, special development areas, investment areas) with a wider roll-out of the Local Plan for Occupation (PLOF); and 4) Improve the quality of services provided in relation to land issues in all geographies, both at the commune level and the national level. With the support of international donors, particularly the World Bank, decentralization of land administration and the issuance of land certificates at the commune level under the National Land Program has continued and scaled. Recently, a streamlined land certification process shifted from sporadic to systematic, allowing for a rapid increase in the number of certificates issued (Teyssier 2018; ROM 2016a). Madagascar adopted a new 15-year Letter for Land Policy in 2015, which provided guidelines for land formalization. The 2015 Letter for Land Policy was less supportive of decentralized land administration and land certification in favor of the established national system and land titling. The National Land Program (2016-2020) strategy, adopted in 2016, rebalanced the guidelines toward decentralization and land certification, with a focus on improvements to the decentralized land administration system and harmonization of rules and regulations (Teyssier 2018). The most recent National Land Program (2016-2020) includes a focus on improving land titling for women, primarily through the education of local government authorities. The National Action Plan for Gender and Development (2004-2008) focused on improving women’s economic strength and included a component on women’s land ownership and access to credit (ROM 2016a; FAO 2018b; Ramaroson et al. 2010). Donor interventions in the land sector are focused on supporting comprehensive coverage of land use rights throughout Madagascar. The World Bank is supporting decentralization of land administration and issuance of land certificates through CASEF, a $53 million agriculture and land program. The dedicated land component of CASEF is $13 million, covering 500 communes with systematic land certification, with the potential for expansion. The European Union (EU) and the French Development Agency (AFD) are also supporting land decentralization with a Euro 5 million project covering 70 communes. GIZ is supporting LLOs in 13 communes (Teyssier 2018). USAID withdrew its support from Madagascar from 2009-2014. Previously, USAID-supported farmer education and projects to strengthen farmer associations. In 2005, Madagascar became the first country to benefit from the Millennium Challenge Account (MCA). The project supported the government’s National Land Program by establishing local land offices and assisting in the adjudication and issuance of land rights certificates (Teyssier et al. 2008; MCC 2009; MCC 2008). Madagascar has hundreds of medium and small lakes and rivers, and an estimated 2,000-3,000 km² of floodplains and swamps. Four major rivers (the Betsiboka, Tsiribihina, Manjoky, and Onilahy) rise in the central highlands and flow west across the island to the Mozambique Channel. In the arid southern region of Madagascar, most rivers are seasonal. Located in the northern part of the central highlands, the country’s largest lake, Lake Alaotra, covers an area of 22,000 hectares and has another 20,000 hectares of marshland (FAO 2015; USAID 2014; FAO 2005; ROM 2016c). The country has an estimated 337,000 million m³ of renewable water resources per year. The annual use amounts to 13,000 million m³. Ninety-six percent of the country’s water is used for agriculture, 3% for domestic consumption, and 1% industry. Water resources are unevenly distributed. Rainfall varies from a high of 4,000 mm/year in the north-east to 400 mm/year in the south. As a result, access to sufficient water in the south is a challenge and wells must be dug increasingly deeper to access groundwater. Approximately 1.2 million hectares of land is equipped for irrigation in Madagascar (77% of total agricultural land), primarily comprised of gravity-fed irrigation from surface water resources. Only 3,500 hectares are irrigated through pumping (FAO 2015; CEPF 2014; Minten et al. 2002; FAO 2005). The country’s lakes, rivers, streams and wetlands support a wealth of wildlife diversity. Malagasy wetlands occupy more than 3,000 km of rivers and streams, and about 2,000 km2 of lakes are divided in 256 catchments. In addition to their importance for biodiversity, these water resources are important for drinking water, agriculture, energy production, and fishing. Deforestation, erosion and sedimentation, over-use, and encroachment threaten water resources (CI 2014; USAID 2014). About 50% of the country’s population (65% in rural areas) still rely on unimproved water sources for their daily consumption, hence the quality and the availability of water from freshwater is crucial. The country’s biodiversity also depends on the quality of freshwater: An estimated 75% the proportion of Malagasy endangered species rely on the freshwater system. In contrast to forest resources, wetlands have rarely been included in official Protected Areas and it is estimated that 60% of the country’s wetlands have disappeared since the 1960s, mostly from the pressure of urbanization and conversion to irrigated land. The pollution of rivers is not considered a major problem due to a relatively low use of pesticides and agrochemicals; however, localized water pollution can be a significant issue around large cities or in connection with mining activities (Banford et. al 2018; ROM 2016c; FAO 2016; CEPF 2014). Madagascar enacted its Water Code (Law N°. 98-029) in 1999, the primary goal of which is to improve access to safe water throughout the country. The Water Code provides that water is the heritage of the nation, exists in the public domain, and must be effectively managed. The government must manage domestic water resources in urban settings with cost recovery in mind. Private entities are permitted to supply domestic water (FAO 2016; Minten et al. 2002; USAID 2014). In rural areas, hydro-agricultural resources and infrastructure are managed by local user associations (AUE), the roles of which are defined under Law N°90-016 (FAO 2016). Law N° 2015-003, the Environmental Charter Law, sets out Madagascar’s environmental policy. Law N° 2014-042 governs the rehabilitation, management, maintenance, and the preservation of irrigation networks. In 2003, several decrees were passed to better protect water sources from contamination and regulate water use: (1) Décret N° 2003/793 du 15 juillet 2003 (set standards for tapping water sources); (2) Décret N° 2003-940 du 09 septembre 2003 (set stricter protection zones around water sources); (3) Décret N° 2003-943 du 09 septembre 2003 (established guidelines for water diversion); and (4) Décret N° 2003-941 du 09 septembre 2003 (addressed water access and monitoring of water for human consumption) (FAO 2016; USAID 2014). The Community-Based Management of Natural Resources Law (GELOSE) applies to wetland areas and allows for community management of some water resources (USAID 2014). Lakes, rivers, and their banks are within the public domain and considered open access resources, although subject to local government and community control. Access to water for drinking, irrigation, industry, and hydro-power is subject to regulation (USAID 2014; FAO 2005). In urban areas, the parastatal JIRAMA supplies most water, although private companies are also permitted to do so. In rural areas, water service is governed by commune-based service providers (collectivités décentralisées) and water user groups. Water for irrigation is provided through channels or wells and access managed by local user groups. Disputes over access to water are handled by the local agent of the Ministry of Water and Forests (Minten et al. 2002). Since 2015, the water sector has been overseen by the Ministry of Water, Sanitation and Hygiene (MEAH), particularly the Department of Water Resources Management (DGRE). The National Authority for Water and Sanitation (ANDEA) is responsible for drinking water and sanitation. The Ministry of Agriculture oversees irrigation and rural investments in water development. The Ministry of Environment, Ecology and Forests oversees the implementation of the Environmental Program for Sustainable Development (ROM 2016c; FAO 2016; USAID 2014). In the 1980s, Madagascar established Water User Associations to manage irrigation schemes, though irrigation infrastructure remains the property of the state. The associations they are also responsible for the maintenance and operation of irrigation systems with their jurisdiction (FAO 2016). The government’s National Irrigation and Watershed Management Program has the objective of improving rural livelihoods through support of irrigation projects and improved management of watersheds (World Bank 2008). The National Strategy for Water, Sanitation and Hygiene (2013-2018) was adopted in 2013. The main objective of the strategy was to increase the population’s access to water and sanitation. Specifically, the strategy set a goal of 63% access to water and 99% access to sanitation by 2018, and 100% access to both by 2025. Implementation of the strategy was dependent upon legislative reforms to ensure better coordination of public stakeholders, notably local government and JIRAMA, and a reform of the Water Code; improved financial resources; and the support of the private sector through Public Private Partnerships. By 2018, the dependent factors were unfulfilled and successful implementation of the strategy seemed uncertain (ROM 2013). The most recent Environmental Program for Sustainable Development was adopted in 2016 and reiterates the objectives of a greater access to water and sanitation as well as the threats to freshwater bodies; however, the program primarily focuses on the creation of monitoring and information systems on the availability and quality of water resources rather on an effective implementation (FAO 2016). USAID, UNICEF, the African Development Bank, and AFD support several water supply and sanitation projects. Additionally, the African Development Bank, EU, World Bank, and IFAD support projects focused on irrigation (USAID 2018a; UNICEF 2018; AFD 2018; ADB 2018a 2018 b; World Bank 2018a). Located in the tropical Western Indian Ocean and surrounded by the Southern Equatorial Current, Madagascar is endowed with significant marine and coastal resources. The country has 5,600 km of coastline, as well as 2,400 km² of coral reefs and 4,500 km² of mangroves. Madagascar also has a maritime Exclusive Economic Zone (EEZ) of over 1 million km². The coastal habitats include estuary and lagoon systems, mudflats, vegetation, pebble beaches, dunes, and mangroves. Reef formations and large seagrass beds resources contain rich biodiversity. The government has sought to protect this critical resource by establishing 54 Marine Protected Areas covering 4.36% of the country’s marine habitat (World Bank 2017; FAO 2018a; CI 2014; Marine Conservation Institute 2018). Madagascar’s coastal resources provide an important habitat for marine resources and contribute to the livelihood and nutrition of a large portion of the rural population. Though the fishing and aquaculture sectors are still underdeveloped and mainly focused on local consumption, they are experiencing strong growth and shrimp, tuna, lobster and crab are a large source of export earnings. Shrimp is the most important coastal fishery and the sector is highly regulated. Approximately 500,000 people work in the fisheries sector; women comprise 21% of the labor force in fisheries. Fish and fish products are an important source of nutrition, contributing about 20% of the population’s consumption of animal protein (World Bank 2017; FAO 2018a; FAO 2016). Marine fishing in Madagascar can be divided in to four primary categories: artisanal fishing for household consumption, traditional fishing, industrial fishing for local market and export, and sport fishing. Traditional fishing, which employs approximately 60,000 fishers, is carried out using dugout canoes, oars and sails. Fishers harvest marine mammals, sea turtles, fish, sharks and rays, shrimp, and other products. The collection of nonedible marine products such as aquarium fish and corals for export is increasing (FAO 2018a). The fishing communities of Madagascar are among the country’s most marginalized, with limited access to basic services and infrastructure. Population growth and competition for resources have pushed fishers to expand their catch, leading to overfishing and reduced productivity. As fisheries have diminished, some coastal Malagasy, especially women, have turned to seaweed farming with the support of non-governmental organizations. Seaweed farmers typically earn $100 per month or less. Poor management of fisheries and coastal resources is predicted to negatively impact Madagascar’s revenue, livelihoods, and levels of nutrition (World Bank 2017; Gerety 2017; USAID 2016). Since 2006, the contribution of the fisheries sector to Madagascar’s GDP has decreased from 7% to 2%. Overfishing, the destruction of mangroves, pollution, and climate change have contributed to this reduction. Additionally, high-value coastal resources such as tortoises, sea cucumber, and sharks are under increasing threat due to growing international demand. At the same time, international pressure on Madagascar’s fisheries may be increasing. In 2018, a private Malagasy association, Agence Malagasy de Développement économique et de Promotion d’entreprises (AMDP), made a $2.7 billion deal with Chinese interests to open Madagascar to 330 Chinese fishing vessels. The deal has been criticized by the Ministry of Agricultural and Fisheries (MAEF), civil society, conservationists, and fishing communities (Gardner et al. 2018; World Bank 2017; Carver 2018). Madagascar’s coastlines and lagoons are classified as national public domain. Ordonnances 60-099 and 62-032 provide right of passage to the general public. Ordonnance 93-022 (1993) regulates fishing and aquaculture; Decret 94-112 (1994) regulates the general organization maritime fishing activities; and Decret 2007-957 (2007) defines the conditions for shrimp fishing (FAO 2018a; World Bank 2006). Protected areas are governed by Law No. 2015-005 amending the Code for Management of Protected Areas, which set up a system of protected areas and simplified the legal process for protected area creation. Under this law, communities, nongovernmental organizations, and the private sector can manage protected areas, paving the way for the establishment of Locally Managed Marine Areas (LMMAs). The 1996 Gestion Locale Sécurisée (GELOSE) enabled community-based management of natural resources (Marine Conservation Institute 2018; USAID 2016). In fishing communities, coastal resources are governed by customary rules and regulations (dina). The community validates and enforces the rules of resource management, including the establishment of marine reserves, through consensus. Sacred areas, such as springs and mangrove forests, may be protected by taboos from fishing, swimming, defecation, cutting mangrove trees, or all of these activities. Communities may also have taboos around food, time associated with the resource use, and gear for resource extraction (USAID 2016; Cinner 2007). Access and use of fisheries is conditional upon the zone, opening and closing of the fishing season, and the size of the fish allowed for capture and the protection of hatcheries. Madagascar strictly manages endangered, economically important fishery stocks, such as shrimp and lobster. This includes limiting fishing licenses for industrial and artisanal fishing. Traditional fisheries tend to be unregulated, though the use of toxic substances, explosives, and electrical devices are banned (FAO 2016; World Bank 2006). Madagascar is implementing various forms of community-based management for marine resources. Fishing communities are encouraged to work in consultation with tourism authorities, MAEF, and others to reduce overfishing and conflict among resource users. However, communities are challenged by a lack of clearly defined boundaries and rules of access, which are critical to strong resource management. Communities with formalized rights and responsibilities have demonstrated stronger management of marine resources (FAO 2018a; USAID 2016). Extended drought in southern Madagascar has pushed some people to coastal communities, where they engage in fishing alongside artisanal and traditional fishers. In addition to increasing pressures on fisheries, this has also led to disputes, particularly when newcomers fail to follow community or customary rules and government regulations for resource management. Conflicts between traditional and industrial fishers have also been reported. In the northeast of Madagascar, around Antongil Bay, high shrimp density near river outlets leads industrial fishers to come close to the shore where they damage the nets and reduce the catch of traditional fishers. There is no established process for managing these disputes, and an effort by traditional fishers to establish clear rules around access to Antongil Bay was blocked by Malagasy courts (USAID 2016). The Ministry for Agriculture and Fisheries (MAEF) is responsible for the management of fisheries and marine Protected Areas (Gardner et al. 2018). LMMAs manage fisheries according to customary rules established by the community. In 2012, LMMAs formed a networked called MIHARI to support large-scale marine conservation with the support of the government. Community-based management of marine resources is overseen by the Direction de Pêche at the District Level (FAO 2018a; USAID 2016). In 2014, Madagascar’s then-president announced plans to triple the size of marine protected areas. Madagascar had already taken steps to enable the organization of LMMAs (Gerety 2017). In 2017, Madagascar and the World Bank began implementation of the $70 million Second South West Indian Ocean Fisheries Governance and Shared Growth (SWIO Fish) Project. The project will support management of regional, national and community level fisheries and increase access by fishers to alternative livelihood activities (World Bank 2017). USAID implements the Conservation and Communities Project (CCP), which is focused on protecting Madagascar’s natural resources. The CCP includes a focus on conservation of coastal resources through increased economic activities, improved access to social services, and support for land and natural resource rights (USAID 2018b). International nongovernmental organizations have expanded marine conservation projects in Madagascar. In 2003, Blue Ventures pioneered the seasonal closure of a community fishery, which led to the development of the country’s first LMMA. Other international organizations working on marine conservation include the Wildlife Conservation Society, Reef Doctor, and WWF (Gerety 2017). Approximately 22% of Madagascar is forested (including rain forest, humid forest and dry forest). Fifty-one percent of the country’s forests are protected. These forests are among the most biologically rich in the world and critical to the preservation of diverse species. Between 80-90% of Madagascar’s plants and animals (including 34 species of lemurs) are dependent on the country’s forest resources, including a large number of endangered or near-extinct species living nowhere else on earth. The rural population is highly dependent on natural resources for food, fuel, and income; this dependence has become stronger due to increasing poverty rates following the 2009-2014 political crisis and sustained population growth. As a result, forest resources are under pressure due to high demand for agricultural and grazing land, charcoal production, mining, hunting, and overharvesting. High value forest resources, such as rosewood, are threatened by intensive illegal extraction due to international demand. Population pressure and declining soil fertility on traditional agricultural lands also cause farmers to establish homesteads in the forests and clear forestlands for agriculture (Gardner et al. 2018; ROM 2015; World Bank 2015; CEPF 2014; World Bank 2007a; DeCosse 2001; Evers et al. 2006; USAID 2014). Since the Durban Vth World Parks Congress in 2003, Madagascar has increased its number of protected areas from 47 to 122 which together form the System of Protected Areas (SAPM). These protected areas are comprised of one natural reserve, 28 natural parks, two natural monuments, 23 habitat/species management areas, 39 protected landscapes, and 17 protected areas with sustainable exploitation of natural resources. Additionally, Madagascar has expanded its philosophy for management of protected areas to include conservation of cultural heritage and the promotion of sustainable natural resource use for poverty alleviation and development. This approach includes shared management of some protected areas by nongovernmental organizations and local management units, as well as Madagascar National Parks (MNP – formerly ANGAP). About half of the country’s newly-formed protected areas allow sustainable resource exploitation (Gardner et al 2018, ROM 2017). Madagascar has a long history of conservation interventions and was one of the first countries in Africa to establish a legal framework for community forest management (CFM). Multiple reserves have been created and local management units are aggressively supported: Between 1996 and 2014, the number of local management units increased and 1,248 contracts were signed. However, such communities are often limited in their practical ability to make choices about resource management and there is so far no evidence that the increase in CFM agreements has helped to reduce deforestation or improve the economic standards of local populations (Gardner et al. 2018; World Bank 2015). Deforestation increased following the 2009 coup, with forest loss greater than one million hectares between 2001 and 2013. The 2009-2014 political crisis was accompanied by illegal rosewood logging and commercial poaching; however, the primary source of deforestation is subsistence activities such as clearing for rice paddy and cattle pasture, fuelwood collection, and charcoal production. Other major threats to Malagasy forests include illegal resource exploitation, increased large and small mining operations, sedimentation from soil erosion, climate change, and lack of tenure security to encourage long-term, intensive agricultural investment. There is limited evidence that the increase in protected areas has decreased deforestation in Madagascar (Gardner et al. 2018; Gerety 2017; USAID 2014). Under Madagascar’s formal law, all forests except for those on titled land are state property. Villagers do not have the right to access and use forests without state permission. Formal law is at odds with customary beliefs and practices, which give local communities the right to use the forest and forest products. Madagascar’s community forest management legislative framework and programs have been making efforts to harmonize the competing principles regarding use of forest resources (WCS 2008; DeCosse 2001). Madagascar’s 1995 Forestry Policy includes the following objectives: (1) slow forest degradation by promoting alternatives to slash and burn agriculture and working with communities on fire management measures; (2) manage forestry resources more efficiently through the creation of management plans, rationalization of forest exploitation, and increased management capacity; (3) increase forest cover by promoting reforestation; and (4) improve the efficiency of the forestry sector’s economic performance by better capturing the value of forestry products, facilitating appropriate markets of forest products, and promoting ecotourism (USAID 2014). After adoption of the 1995 Forestry Policy, Madagascar’s forestry legislation was reformed by Law No. 17 of 1997 and by Decree No. 98-782 of 1998, which defined the terms and conditions for the exploitation of forest resources. While the state is the owner of all forests, co-management between the state and local communities was enabled by the 1996 Gestion Locale Sécurisée (GELOSE) Law (Law No. 96-025), through which Madagascar became one of the first countries in the southern hemisphere to establish a legal framework for community-based natural resource management (World Bank 2015; Reynolds and Flores 2009; USAID 2014; Evers et al. 2006). In 2001, the gestion contractualisée des forêts (GCF) Decree defined the conditions for community-based management of state-owned forests, filling some of the gaps left by the GELOSE Law. As of 2014, local communities in Madagascar had signed 1,248 Forest Management Contracts (World Bank 2015; USAID 2014). The classification of protected areas is governed by Law No. 2015-005 amending the Code for Management of Protected Areas (COAP), which established a system of protected areas and simplified the legal process for protected area creation. Under this law, communities, nongovernmental organizations, and the private sector can manage protected areas. The establishment new protected areas require the involvement of local communities and authorities, as well as an environmental and social impact assessment. Madagascar’s forests and protected areas are also governed by the country’s broader environmental policy and legislation, such as the National Charter for Environment (Law 90-202), which established the principles for the country’s 2010 National Environmental Policy Declaration (World Bank 2015, Garner et al. 2018; ROM 2015). The most recent Land National Program (2016-2020) includes measures aimed at redefining limits and uses within protected areas and in the areas managed by the forestry administration (ROM 2016a). Under formal law, the state owns almost all forests. Access and use rights are only authorized within sustainable-use protected areas. In some areas, customary law prevails and communities apply their own rules and regulations in regard to limiting access to forest resources and establishing use norms (RRI 2015). Communities participate in forest co-management programs under the GELOSE Law and GCF Decree. Co-management includes the sharing of decision-making, responsibilities, and benefits of forest resources. Three parties are involved in the creation of Community Forest Management (CFM) units: the state (usually represented by the forest administration), the commune, and an organized group of community-based resource users. Forest management contracts (GCFs) usually include details on permitted activities as well as the location and duration of these activities. Within CFM units, access to forest resources depends on the type of CFM. The multiple-use management model for protected areas permits sustainable natural resource extraction, while others do not allow extraction and focus solely on conservation. In general, protected areas have not been particularly effective in reducing deforestation or improving livelihoods (World Bank 2018a; Gardner et al. 2018). The reorganized Ministry of Environment, Ecology, and Forests (MEAF) oversees the forestry sector. Technical branches of the ministry work with local government and communities to co-manage the country’s forests. Other institutions in the forestry sector include: (1) National Observatory of the Environment and Forestry Sector; (2) the Coordination Unit for Environmental Projects, which coordinates management and conservation of the environment and renewable resource; and (3) the System of Protected Areas (SAPM), which develops and manages the country’s protected areas (ROM 2018; ROM 2015). Madagascar’s forestry administration does not have sufficient capacity to implement existing legislation or to monitor forest and protected areas adequately. Challenges within the administration include insufficient knowledge of the forest laws and policies, lack of transparency, and an absence of the checks and balances necessary to manage issuance of forestry permits and curtail corruption (USAID 2014; World Bank 2007a; DeCosse 2001). The Government’s National Environmental Policy Declaration (NEAP) was a three-phase, 15-year program coordinated with a wide range of international donors and nongovernmental organizations. The key purpose of NEAP was to work with local communities to stop (and ultimately reverse) environmental degradation. Many of Madagascar’s major environmental reforms from the last 25 years were a result of the NEAP, include adoption of the GELOSE Law, creation of the SAPM, and establishment of the Environmental Agency (ROM 2016c). In 2015, Madagascar adopted a new Policy Declaration on Environment and Sustainable Development. The policy declaration emphasizes partnership between forestry sector stakeholders, including the government, nongovernmental organizations, international donors, and local communities; expanded decentralization of natural resource management through CFM contracts; and environmental preservation and livelihood development. Based on this declaration, Madagascar developed the Environmental Program for Sustainable Development (2016-2020) (ROM 2016c; ROM 2015). Madagascar’s National Development Plan (2015-2019) identifies the protection of natural resources as key to achieving the country’s development objectives. The Plan emphasizes the importance of protecting Madagascar’s natural resources for future generations. In 2014, this sentiment was reinforced by the then-president’s declaration to increase the number of protected areas (World Bank 2015). Recent government efforts have sought to strengthen forest administration. Initiatives include the creation of the tripartite Forestry-Justice-BIANCO Commission, an independent anti-corruption bureau designed to reduce corruption in the forestry sector; the seizure of significant quantities of illegally harvested timber; the simplification of judicial procedures to prosecute those in violation of forestry laws; the development of a system for tracking forestry permits; the establishment of mobile forestry control units; and the adoption of a competitive permitting process. 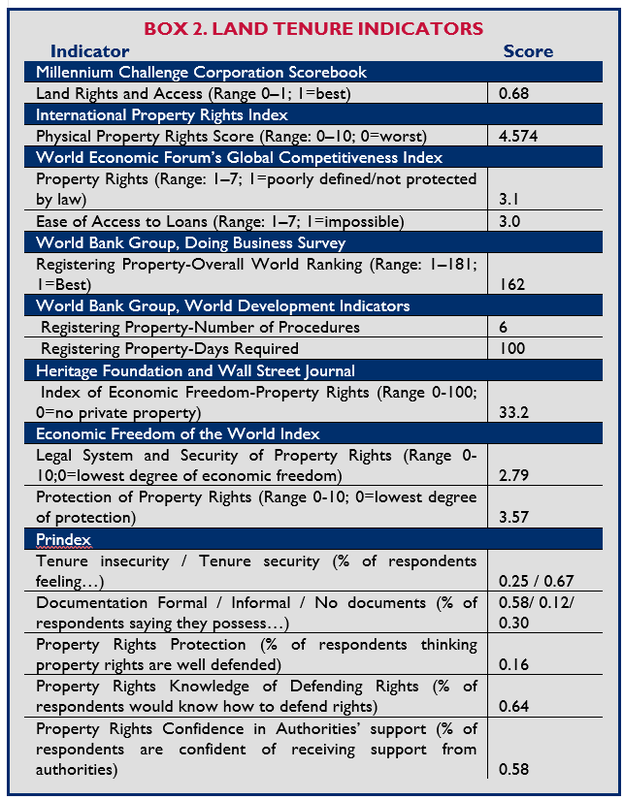 However, indicators on integrity and governance published by Madagascar in 2017 do not show any improvement in the land and forest sectors (World Bank 2007a; ROM 2017). In 2003, Madagascar’s then-president announced a plan to significantly increase the country’s protected areas. Implementation of this plan included a radical change to the management of protected areas, which allowed natural resource exploitation and use by local populations. By 2016, the total coverage of Madagascar’s protected areas had increased from 1.7 to 7.1 million hectares (Gardner et al. 2018). The conservation of Madagascar’s diverse resources has attracted extensive support from the donor community. USAID implements the Conservation and Communities Project (CCP), which is focused on protecting Madagascar’s natural resources. The CCP includes a focus on forest resources through increased economic activities, improved access to social services, and support for land and natural resource rights (USAID 2018). GTZ has been a consistent supporter of Madagascar’s forestry projects and, along with USAID, has been closely involved in supporting the Ministry of Environment, Water, Forests, and Tourism through the Conservation and Sustainable Use of Natural Resources Program. The first (2008-2015) and second (2016-2020) phases of the program have equaled an investment of $53 million. In addition, many international and domestic nongovernmental organizations are involved in forest co-management, including Conservation International, Worldwide Fund for Nature, the Missouri Botanical Garden, and others (USAID 2014). Over the course of the ten years preceding the 2009 coup, USAID invested $56 million in forestry and biodiversity projects including SAVEM (Sustainable Approaches to Viable Environmental Management), KEPEM (Knowledge of Effective Policy in Environmental Management, MIRAY (Support to Protected Areas Plan), WWF (World Wildlife Fund) Agents de Protection de la Nature, LDI (Landscape Development Interventions), and PAGE (Support to Environmental Policy) (USAID 2014). Several USAID projects have supported the negotiation and signing of Forest Management Contracts with local communities, including the Landscape Development Interventions (LDI) project, the World Wildlife Fund/Agents de Protection de la Nature project, and the MIRAY (Support to Protected Areas Plan) project through Conservation International. In recent years, USAID has given $12.6 million to be used to advance efforts to triple Madagascar’s protected areas to six million hectares, strengthen the organizational and technical capacity of local environmental and forest management institutions, and develop economically viable production forests (USG 2008; USAID 2014). Madagascar has a wealth of mineral resources, including gemstones (emeralds, rubies, and sapphires), gold, titanium, iron, nickel, chromite, bauxite, and coal. The mining sector is dominated by artisanal and small-scale mining, which provide livelihoods for over 500,000 people, though often in unsafe conditions. The export of gemstones has been banned since 2008 yet smuggling to Thailand and Sri Lanka continues to pose a serious problem in the sector. Significant onshore and offshore oil reserves have been identified in the western region of the country and exploration is underway; five active oil systems have been discovered (ASI 2018; USGS 2008; World Bank 2007b; Tilghman et al. 2005). Mineral resources contribute 4.2% of GDP, but the sector is expected to grow to 6-8% of GDP by 2020. Commercial mining activities have been increasing since 2002, with capital investment for ilmenite, nickel, cobalt, chromite, chrome iron ore, and uranium. There are several large-scale mining projects in Madagascar. Chinese steelmaker, WISCO, acquired rights to the Soalala iron deposit in 2011. Since 2009, Rio Tinto has operated a $931 million ilmenite and zircon mine in the country’s southeast. Additionally, a multinational conglomerate operates a $7 billion nickel and cobalt mine, one of the largest in the world. These mining projects have enabled economic growth in Madagascar’s mining sector (ASI 2018; World Bank 2017). The government has increased the number of permits for mineral and petroleum exploration and offered a large number of oil blocks. Madagascar Oil, a Houston-based privately-held company, holds the largest amount of onshore acreage (31,000 km²) in western Madagascar. Madagascar Oil holds a 100% stake in a heavy oil project at Tsimiroro, with estimated oil reserves of 1.7 billion barrels. The French oil producer, Total SA, which bought a 60% share in a 10-billion barrel resource deposit from Madagascar Oil, plans to begin production in 2018. One of the largest companies operating offshore is Exxon Mobil, which purchased rights to more than 18 million acres in four frontier exploration blocks off Madagascar’s northwestern coast and is engaged in exploration (EITI 2018a; Reuters 2009; Rigzone 2009). The increase in large and small scale mining in Madagascar has negatively impacted the country’s forests and protected areas, often irreparably damaging forest areas through alteration of vegetation, massive soil erosion, and earthworks. In addition to the impact of the mining operations themselves, miners cut trees for fuel and hunt animals to supplement their diets. Environmental groups are watching the development of Madagascar’s oil reserves with concern about potential negative impacts of operations on the environment (USAID 2014; Tilghman et al. 2005; Reuters 2009). The government adopted a new mining law in 1999, Code Minier, Loi 21 of 1999 (amended in 2005) and passed the Large-Scale Mining Investment Law in 2002 (amended 2004) in order to encourage large-scale commercial exploitation. This legislation requires potential mining operators to prepare environmental impact assessments before mining permits are issued. In 2017, Madagascar launched a reform of the mining and petroleum codes to increase revenue (World Bank 2017; ROM 1999). Decree 2017/736 of 2017 institutionalizes the Extractive Industries Transparency Initiative (EITI) under the Prime Minister’s Office (ASI 2018). There are four types of mining permits issued my Madagascar’s cadaster service (BCCM): 1) Exclusive Authorization for Reservation of Area, which is valid for three months, non-renewable, and applies only to exploration; 2) Research Permit, which is valid for five years, can renewed twice, and can be converted to a mining permit; 3) Small-Scale Mining Permit, which is valid for eight years and reserved for Malagasy citizens for exploration and non-mechanized mining; and 4) Large-Scale Mining Permit, which is valid for 40 years. Many small-scale miners operate without permits. The National Gold Agency (ANOR), established in 2015, issues small-scale gold mining permits valid for one year (Tilghman et al. 2005, EITI 2018b). Madagascar’s mining and related processing operations are largely privately owned. Artisanal miners work gold and gemstone mines. In some areas, there have been reports of disputes among artisanal miners over rights to resources (USGS 2008). Oil and gas exploration and extraction in Madagascar can only be done through production sharing contracts (licensing agreements) concluded by oil companies with the Office des Mines Nationales et des Industries Strategiques (OMNIS). The contracts are attributed either through bidding processes or through an administrative process with the Ministry of Mines and Petroleum (EITI 2018b). The Ministry of Mines and Petroleum oversees the petroleum and mining sectors. In the 1990s, Madagascar established a mining cadaster service (BCMM) to manage mining rights, an online version of which was launched in 2017. Decentralized Environmental Mining Cells (CEM) oversee environmental impact. The Mineral Resources Governance Data Bank (BPGRM), a unit within the National Geological Survey, is responsible for geologic data. A National Agency for Gold (ANOR) was created in 2015 in order to better regulate small-scale gold mining through the issuance of permits (World Bank 2007b, EITI 2018b, ASI 2018). Other areas of the country’s mining administrative structure remain inefficient and often corrupt. As a result, the government collects only a small portion of potential small-scale mining revenues. Administrative units, such as the Office des Mines Nationales et des Industries Strategiques (OMNIS), appear resistant to modernization and change (World Bank 2007a). Other governmental entities involved in mining activities include environmental organizations (notably the National Environmental Agency), as well as the tax and custom administrations (EITI 2018b). The government has expressed a commitment to further reforms of the mining sector and is partnering with donors to modernize mining management. The government was accepted as an Extractive Industry Transparency Initiative (EITI) candidate in 2008; however, the process was interrupted between 2011 and 2014 due to political instability. EITI supports transparent accounting of mineral resources and revenue, as well as management of natural resource wealth to be used for the benefit of a country’s citizens and in the interests of their national development. Madagascar’s current status in regards to EITI standards is “meaningful progress”, but the country still has not met all EITI requirements (EITI 2018a, 2018 c; ASI 2018). The World Bank’s Mineral Resource Governance Project is working cooperatively with the Norwegian-funded Oil for Development program, which funds legal and administrative development in the petroleum sector. The multi-donor funded Integrated Growth Poles Project I and II encourages growth and investment in three high potential geographic regions, including a project in Fort Dauphin focused on mining and tourism-led growth (World Bank 2007a; World Bank 2007b, World Bank 2018c). The World Bank committed $1.4 million in 2017 for a capacity building project for extractive industries management frameworks. The objectives of the project are to improve capacity to develop legal, regulatory, fiscal and institutional frameworks for an effective and transparent management of extractive industries. The World Bank has also been involved in numerous projects aimed at strengthening accountability and transparency in the mining sector in the past (World Bank 2018b). GIZ finances a project focused on improving the ecological and social conditions for small-scale mining within the context of conservation and sustainable use of natural resources (GIZ 2018).